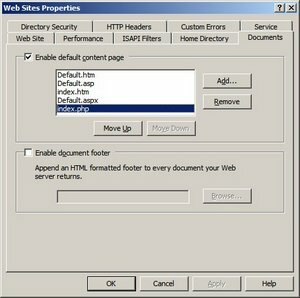 There are many articles on the web that detail the installation of PHP on IIS6. Older, dated articles use the ISAPI that is no longer under development nor packaged with the more current versions of PHP. 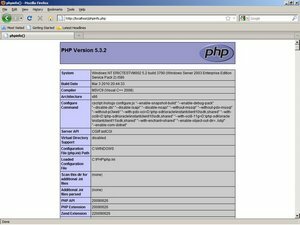 When an article describes the the installation of FastCGI for PHP and IIS, it is generally assumed that you have a working installation of PHP (?). Most articles assume that you know which version of PHP to install, whether it be non-thread-safe or thread-safe. Anyway, after thumbing through a few articles, I finally got a working installation of PHP under IIS with FastCGI. This article will provide detailed steps on how to achieve this. This article will not go into the detail as to the reasoning, there are other sites that do that very well. I would like to keep this as simple as possible. Open the php.ini,search for the following lines, uncomment them and make sure they look like these below. Download FastCGI 1.5 for IIS, 32-bit. Install FastCGI 1.5. Just follow the installation process. Note: This may not be necessary, on one box it was on another it wasn’t. Double click the machine icon for the local computer. Right click on Web Sites and pick Properties. Browse to the fcgiext.dll located in %windir%\system32\inetsrv. Enter .php as the Extension. Ensure that Script Engine and Verify that file exists are checked. Right click Web Sites and pick Properties. Create a file with the name phpinfo.php with the following line of content. Save it in the C:\Inetpub\wwwroot folder. This will get you a working installation copy of PHP. However, there may be extensions you need to access under the C:\PHP\ext folder. To utilize these extensions, you will need to uncomment the specific ones of choice in your C:\PHP\php.ini file. This installation has been successfully tested, twice on April 28, 2010.